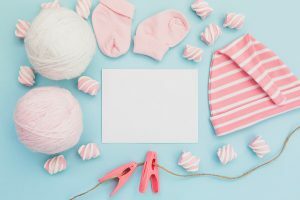 The following guide will help you through the process and will tell you everything you need to know about registering your baby's birth in Madrid. Paperwork and parenthood go hand in hand once you’ve had a baby in Madrid. If one or both parents is Spanish, the process is a little simpler, but if you’re an expat, things can appear to be a little more complicated. 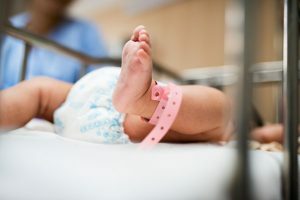 If you’re unsure where to start, or what you need to apply for, the following guide will help you through the process of registering your baby’s birth in Madrid. This is a yellow document that you will be given in the hospital once your baby is born. Registration of the baby’s birth (for the birth certificate and Libro de Familia). if you were married outside Spain, you can bring a translated copy of your marriage cert. in order to get the Libro de Familia (the family book, where each child’s birth is noted). You must register the child within 8 days of them being born. In Madrid, you will need to go to the Registro Civil on Calle Pradillo 66. You don’t need an appointment. When you arrive, go to the information desk where they will check that you have all of the correct documents and they’ll give you a number and a form to fill out. If you have all your paperwork in order, it’s a simple and straightforward procedure. Once the registration is complete, you will then be given a Libro de Familia if you don’t have one already. Don’t be surprised that you are not provided with a copy of the birth certificate automatically. This needs to be requested separately. For the official long-form birth certificate (certificado literal de nacimiento), you can either ask for it in a different part of the building, or order one online. If you need a plurilingual copy, you can also get this on the same day, or on the website. Once you have registered the baby’s birth at the Registro Civil, they will be automatically registered to your address. However, this can take some time so if you need to have them registered sooner, you can attend the ayuntamiento with the Libro de Familia or birth certificate, and a Hoja Padronal form. the “parte medico de alumbramiento” or Libro de Familia if you have already registered the baby’s birth. The baby will be temporarily registered until you can provide a NIE for them. This will ensure that you can attend health visits before the NIE is issued as this can take some time. This document is necessary to get maternity leave benefits. You can request this from the GP in your health centre. If you were on sick leave before going on maternity leave, you’ll also need to request the “alta médica”. This document is provided by your employer. If both parents are applying for maternity and paternity leave, then they must both obtain a copy from their respective employers. If you are self-employed (autónomo/a) then you will need to fill out a “declaración de actividad”. “alta médica” (if you were on sick leave before taking maternity leave). If you are applying for maternity leave and paternity leave in a social security office, you can use the same form for both parties. If both parents are foreigners, your baby will need a passport in order to get a NIE. To apply for their passport, it’s recommended that you contact your country’s embassy in Spain for further information, as each country will have different requirements for the application. a filled out form EX18. You should bring copies of everything. DNI or passport/ NIE of the same parent. Once you have completed this step, you can go to your health centre with the baby’s NIE number and have your baby assigned a permanent pediatrician. 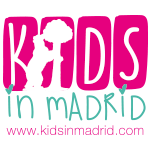 Kids in Madrid has lots of information on having a baby in Madrid. Check out its Mum to Be section for more.